#42: Buona Pasqua! How do Italians celebrate Easter? How do Italians celebrate Easter? Where do they go? What do they do? Do they eat as much chocolate as we do? Find out, and learn the special “gossip” form of Italian verbs you can use to talk about what other people are doing. 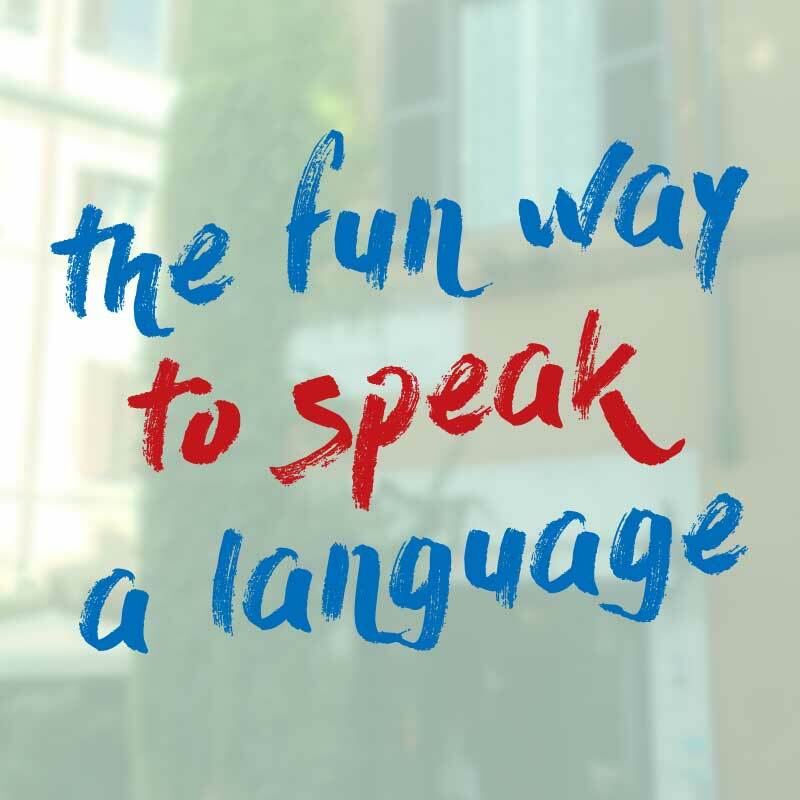 Mini Italian lessons + bonus materials delivered to your inbox. Access to the private Facebook group where you can practice chatting in Italian. Invites to free speaking workshops. If you’d like to join us, click here to become a member of 5 Minute Italian. Remember and practice using what you learnt with the bonus materials for today’s episode. Che cosa fanno gli italiani a Pasqua? = What do Italians do at Easter? Che cosa cucinano? = What do they cook? Mangiano molto cioccolato! = They eat a lot of chocolate! Che cos’altro fanno? = What else do they do? Spesso partono per una vancaza = Often they go on holiday/vacation (literally: They often leave for a vacation). How much did you learn? Find out in the 5-minute Italian quiz! Remember the vocabulary from your 5 Minute Italian lessons by downloading the digital flashcard pack. Not sure how it works? Click here to watch the tutorial. Please note, this is not a word for word transcript. Katie: How do Italians celebrate Easter? Where do they go? What do they do? Do they eat as much chocolate as we do? Find out, and learn the special “gossip” form of Italian verbs you can use to talk about what other people are doing, in episode #42 of 5 Minute Italian. M: And I’m Matteo. Ciao. K: Buona Pasqua means “Happy Easter”. Buona means good and Pasqua means “Easter”, so to say “Happy Easter” Italians literally say “Good Easter”. K: And in today’s episode, we’re going to talk about how Italians celebrate Easter, and we’ll be using this conversation as an opportunity to talk about a verb form that we haven’t learnt together yet, which is the “they form”. M: In the last 3 episodes, we’ve learnt how to say the I form, as in “I eat”, the “you form”, as in “you eat”, we form as in “we eat” etc. K: Today, when we talk about what Italians do, we’re going to learn the “they” form, as in “they eat”. I like to call this the gossip form of the verb, because it’s the one we use to talk about what other people do when they’re not here. Tell us Matteo, che cosa fanno gli Italiani a Pasqua? What do Italians do at Easter? K: Cucianano molto. They cook a lot. Here we’ve got our first gossip form cucinano, which means they cook. It comes from the verb cucinare which means “to cook”. To get the “they” form of the verb, we remove the -are from cucinare, so we’re left with cucin-. Then we add the “they” ending, which is “a-n-o”. So we get…cucinano. M: Cucinano l’agnello, cucinano le lasagne, cucinano dolci. K: So we had, cucinano l’agnello which means “they cook lamb” cucinano le lasagne, which means “they cook lasagne” and cucinano dolci “they cook desserts”. K: Che cos’altro fanno? What else do they do? K: Then, you heard another example of the “they” form: mangiano molto cioccolato! They eat a lot of chocolate. This comes from the verb mangiare which means “to eat”. To say “they eat”, we remove the -are, so we’re left with mangi– then add “a-n-o”, mangiano they eat. K: Spesso partono per una vacanza. “Often they go on holiday or vacation”. So here we had spesso, which means “often”. Then partono per una vacanza. M: Partono means “to leave” and per una vacanza means “for a vacation”. K: So Italians often make the most of the 4-day break by going on a little holiday. Now let’s look closer at this verb, partono which means “they leave”. It comes from the verb partire, which is an -ire verb. To make the “they” form, as in “they leave” we remove the -ire, so we’re left with part-. M: Then, we add the “they” ending “o-n-o”. Partono. K: It’s similar to the “they” ending for -are verbs, but with one important difference. With -are verbs, like mangiare, the “they” form ends in “a-n-o”. K: And if you’ve been listening to the last few episodes, you’ll know there’s one more type of verb that we haven’t mentioned yet, and that’s the verbs that end in -e-r-e, or the -ere verbs, like scrivere. Can you tell us something that Italians do at Easter using an -ere verb? M: I negozi vendono molto cioccolato. K: I negozi vendono molto cioccolato. “The shops sell lots of chocolate”. I negozi = the shops; vendono = they sell; molto cioccolato = lots of chocolate. M: You heard vendono, which means “they sell”. This is the “they” form of the verb vendere which means “to sell”. K: So let’s recap quickly. We looked at how to make the “they” form in three different types of verbs. Verbs which end in -are, like mangiare. M: To get the “they” form, as in “they eat”, remove the -are, so you get mangi-, then add a-n-o. Mangiano. K: And to get the “they” form for other verbs which end in -ire, like partire, or -ere like vendere, remove the -ire or the -ere endings and add “o-n-o”. M: So to say they leave, remove the -ire from partire, and add “ono”. Partono. And to say “they sell” remove the -ere from vendere and add “ono”. Vendono. That’s all we have time for today, thanks for listening. And if you’d like to get more mini Italian lessons delivered to your inbox, don’t forget to subscribe by following the link below. Grazie, and ciao for now, see you next time, or as we say in Italian, alla prossima! 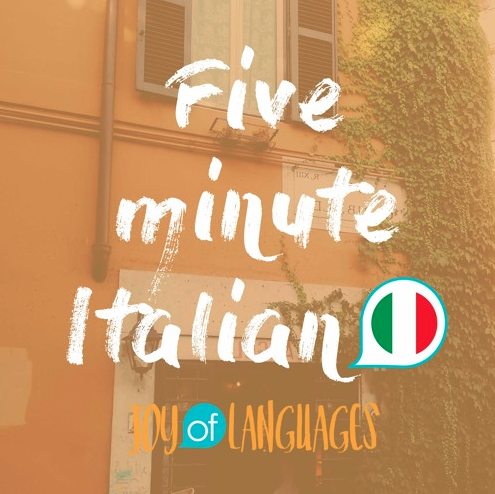 To get more 5 minute Italian, including lessons delivered to your inbox, access to the private Facebook group and invites to speaking workshops, click here to become a 5 Minute Italian member. 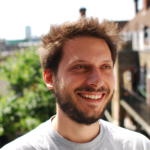 Naples born and bred Matteo is on a mission to share the Italian language and culture with people from all over the world. He loves languages, video games and searching for the perfect pizza.